Auto Styles offers a wide variety of video options for your vehicle and boat. From an in-da sh navigation / video system to a convenient touch screen rear view mirror navigation system, Auto Styles has the system that’s right for you. 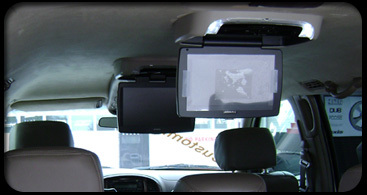 Our technicians can install color matched replacement head rest DVD screens and overhead DVD systems. You can increase rear visibility with our OEM rear view mirror back-up cameras. For increased safety, we highly recommend the use of reverse sensors. These sensors send an audible beep through the vehicle if a person or object is too close to your car while you’re in reverse.